WHY I LOVED IT: When you can put out an album with just seven tracks and see four of those seven were Top 20 hits in the United States, you know it’s a good one. I’m not sure critically it’s a great album but it’s perfect material to pump out at any 80’s themed bash. Honestly I wish I liked it a little bit less than I do but I’m kind of helpless here. It was an album full of fun tracks. In particular I probably walked around my house singing “Fresh” far more than I should have. 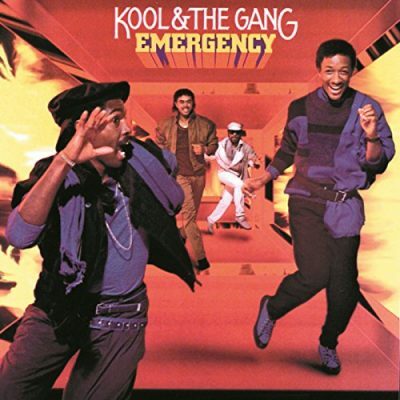 When it comes to combining R&B with pop and putting out a record almost anyone could enjoy, few in the 80’s were more underrated than Kool and the Gang. COMMERCIAL SUCCESS: None of the singles reached the top spot on the Billboard pop charts, but “Cherish” came as close as it gets, climbing to number-two. It also finished 1985 17th on the year-end Billboard Hot 100. “Fresh” peaked at nine while “Misled” peaked at No. 10 and “Emergency” hit No. 18. It was the group’s biggest-selling album ever—no small feat considering they had released 15 studio albums prior. FUN FACT: Kool & The Gang have their own star on the Hollywood Walk of Fame, the 2,560th star. The band members have all known each other since grade school while growing up together in New Jersey.